Welcome home! 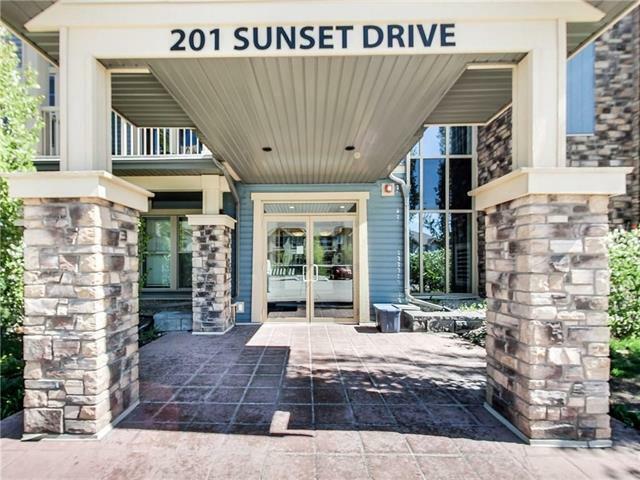 Great pet friendly GROUND FLOOR unit with large windows for lots of natural light in Sunset Ridge! 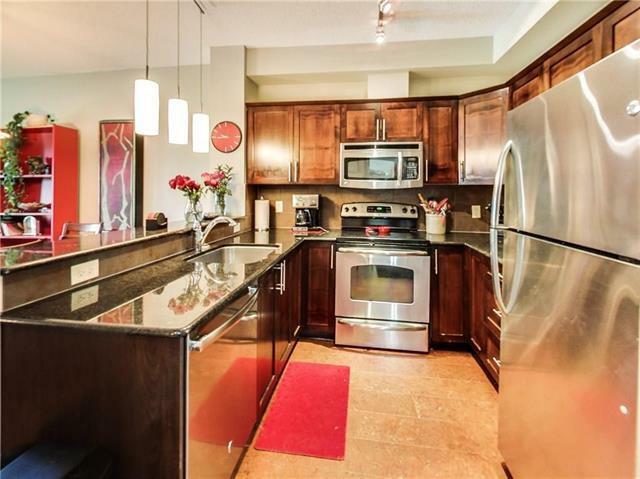 Spacious open concept kitchen/living room with access to the South-facing patio. Upgraded cork flooring, spa like 4 piece bathroom, and a sizeable storage room. 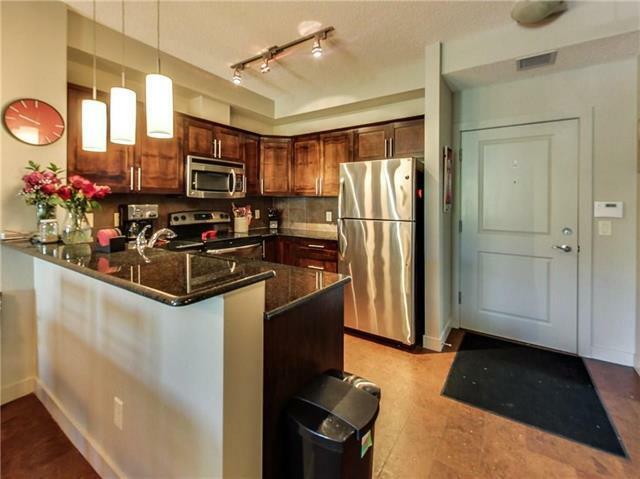 Gorgeous kitchen with granite counters, rich dark modern cabinets offering plenty of counter & storage space, stainless steel appliances including Microwave/Hood cover & large eat-up bar. Functional office nook, two good-sized bedrooms & In-suite Laundry. One underground TITLED parking stall plus one titled outdoor stall. Gym access included as well as guest suite available for minimal fee. Excellent location! 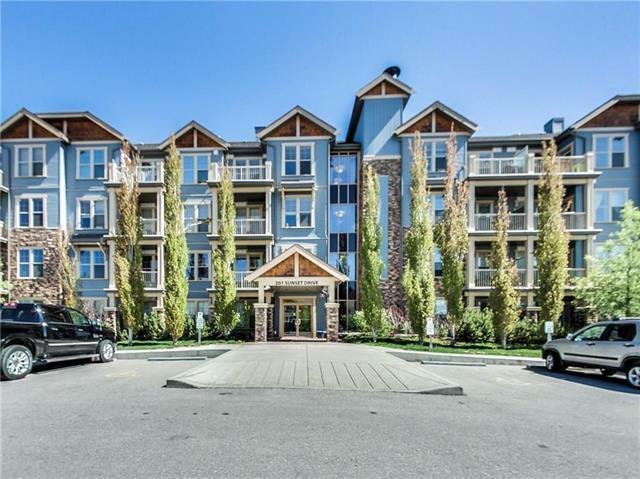 Minutes to downtown Cochrane, Gleneagles golf course and the Bow river with it's many scenic pathways. Close to schools, parks, shopping & more. Call today for your private viewing.